During lambing season, I spend more time with my Border Leicesters (affiliate link) than at any other time of the year. Some of this time is spent sitting in the barn surrounded by sleepy mamas and their dozing brood, but there is plenty of hard work and planning to help things go smoothly. My job is to help the ewes do their best, and they take their work seriously! In honor of Take Your Kid to Work Day, here is a peek into our lambing workflow. Maude just before delivering triplets. I was expecting twins! My ewes typically stay together in a group until they have delivered their lambs. 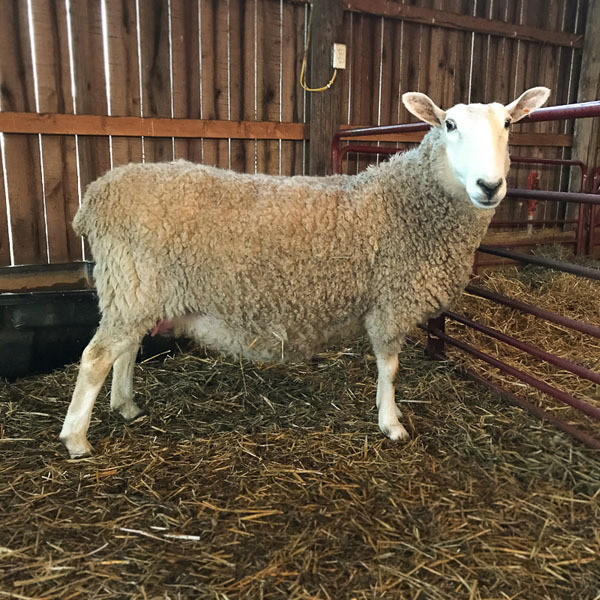 The pregnant ewes have a large barn to pace and, as often happens, dig holes in the bedding and lie down in it like a giant bird sitting in a nest. This group includes not only the mothers-to-be but also the yearling ewes (last year’s lambs) that I will be keeping in the flock. 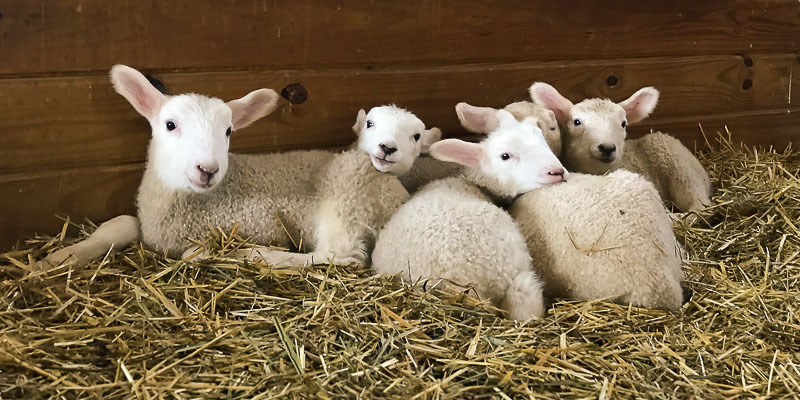 They can observe the births and become familiar with newborn lambs—it’s amazing how much they can learn about lambing by watching. Once the lambs are delivered, I pick them up and walk backward slowly to the small, warm pens where the new family will get acquainted. Mother and lamb will call to each other, and the ewe will usually follow me right into the pen, or jug. If all goes as planned, she will clean and talk to the lambs, which encourages them to get up and start looking for something to eat. With luck, they navigate this on their own, and the shepherd breathes a sigh of relief. After a few days, I let the mothers and lambs out of the jugs. 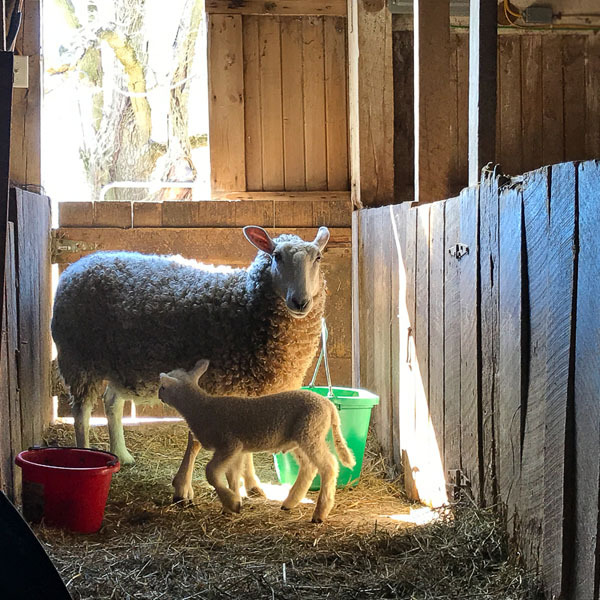 I love watching the lambs step out into the sunshine for the first time—the world is wide! I gather several mothers and their lambs together into nursery groups. The lambs must learn how to find their own mothers and not someone else’s. Drama ensues. After another couple of days, these small groups of ewes and lambs join the larger group. The lambs are now off to the races, quite literally, and everyone heads to pasture. The lambs have so much more to learn, and that is a story for another day. To see how veterinarians help with lambing in one large flock, see For Spring Lambing, Vet Students Make House Calls. 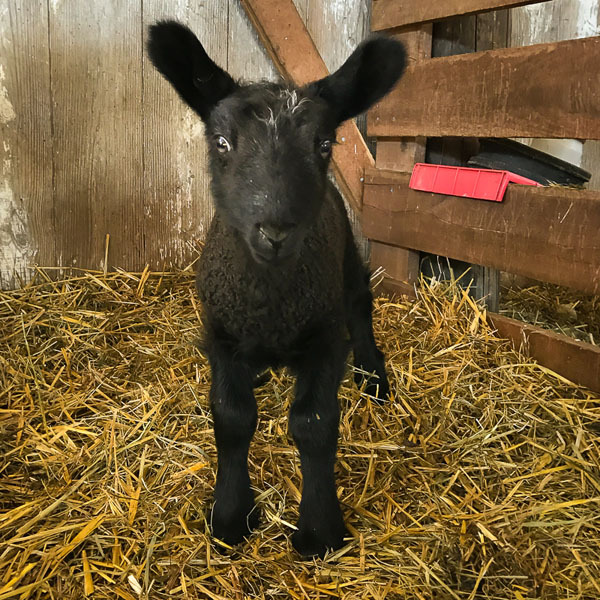 Learn about sheep and lambs! Sweet sounds of home! I love lambing season… most of the time. Thank you Kate for such a sweet article. Next comes the “lamb-pede”.